God is calling the end time generation to be holy. We are the closing evidence for God’s defense in the trial where Satan accuses Him of being unjust. The entire universe is watching God’s people who are to take the gospel for a witness unto all nations. Then shall the end come. In our last study we worked through how to pull down enemy strongholds that keep us stuck in patterns of sin. We said that the Lord has given us many promises and specific weaponry we can use to destroy those footholds that the enemy has gained in our lives. Uprooting strongholds is like peeling off layers of sinfulness and bad character traits. Today we’re going to finish off that conversation by focusing on the process of sanctification. Why is this topic important? Isn’t it good enough to be saved? Why do I have to be sanctified? That’s a very good question. Listen to what the Bible says in Revelation 21:27 (NKJV), speaking of the Holy City, the New Jerusalem: “But there shall by no means enter it anything that defiles, or causes an abomination or a lie, but only those who are written in the Lamb’s Book of Life”. The RSV says: “But nothing unclean shall enter it, nor anyone who practices abomination or falsehood, but only those who are written in the Lamb’s book of life”. We have a second witness in 1 Corinthians 6:9-11, where the Apostle Paul says: “Do you not know that the unrighteous will not inherit the kingdom of God? Do not be deceived. Neither fornicators, nor idolaters, nor adulterers, nor homosexuals, nor sodomites, nor thieves, nor covetous, nor drunkards, nor revilers, nor extortioners will inherit the kingdom of God. And such were some of you. But you were washed, but you were sanctified, but you were justified in the name of the Lord Jesus and by the Spirit of our God”. And last but not least, our third witness: the Lord Jesus Himself said in the beatitudes: “Blessed are the pure in heart, for they shall see God” (Matthew 5:8). The paradox of this generation is that we’re the most sinful generation that ever lived, even worse than the generation of the flood, but we will see the Lord Jesus come in the clouds of glory. If we want to run toward Him and not from Him, if we want to be taken up by the angels to meet Him, then we need to be sanctified so that He can take us home. How do we become sanctified? How does that work? Well, that’s exactly what we’re going to dive into right now. This is a beautiful study so make sure to stay with us until the very end. Let’s get started! We just heard from the Word of God that nothing unclean, nothing impure, nothing sinful will enter heaven. Heaven is a perfect, undefiled place without corruption of any kind. Therefore it’s absolutely mandatory that we come to grips with our own sinfulness and stop sinning yesterday. You heard me right. It’s urgent that we stop sinning. There’s a judgment going on in heaven right now and our names could be called at any time, we know not when. We won’t appear in heaven in person for our judgment. When our names are called we will be judged by the things written in the books. Which books? The books that the recording angels keep of all of our words and deeds. The good news is that Jesus is our Judge and Advocate. If we’re in right standing with Him He takes our place and imputes His perfect righteousness to us. Nevertheless, it’s Jesus’ desire also to impart to us His righteousness. Imparted righteousness, where Jesus helps us to acquire His perfect character so that we become like Him. We need both to be admitted as citizens of heaven. Going back to the strongholds: if you get rid of sin but don’t replace it with something substantial like the active pursuit of holiness, the demons will come back. Let’s read what Jesus said in Luke 11: “When the unclean spirit has gone out of a man, he passes through waterless places seeking rest; and finding none he says, ‘I will return to my house from which I came.’ And when he comes he finds it swept and put in order. Then he goes and brings seven other spirits more evil than himself, and they enter and dwell there; and the last state of that man becomes worse than the first” (Luke 11:24-26). We learn here that an empty house, even though it be in order, is very inviting to evil spirits who come back to tempt and harass. You need to fill your house with diligent study of the Word of God, prayer, witnessing and active service to the Lord. All of these are part of the process of sanctification. Otherwise the demons will come back even worse. “Pursue peace with all people and holiness, without which no one will see the Lord” (Hebrews 12:14). You have to be in active pursuit of holiness and fill your house with the Spirit of God . Lastly, God’s elect “follow the Lamb wherever He goes”. Jesus is in the Most Holy Place right now. The Most Holy Place contains the Ark of the Covenant, the rod of Aaron that budded almonds, manna, and the golden censer which was used only on the Day of Atonement. The Most Holy Place is where Jesus is officiating on our behalf as our High Priest. To follow Him into the Holy of Holies requires holiness, because that’s where the throne of God is. The Most Holy Place is also where the Seal of God is dispensed. The Seal of God is the opposite of the mark of the beast. We need holiness to be admitted into the Most Holy Place where we can be sealed. The Seal of God is our guarantee of protection during the great time of trouble when the last 7 plagues of the wrath of God will fall upon the wicked and those who rejected the truth. In simple language, sanctification is the process of making holy, to consecrate or dedicate to a holy purpose, to set apart for a holy purpose, to hallow, to purify. For example, God set aside the Sabbath day for a holy purpose: for His children to worship Him on that day which He sanctified. “For in six days the LORD made heaven and earth, the sea, and all that in them is, and rested the seventh day: wherefore the LORD blessed the sabbath day, and hallowed it” (Exodus 20:11). The vessels of the Sanctuary were consecrated for the ministry of the Lord. In the Book of Daniel Chapter 5, when Nebuchadnezzar’s grandson Belshazzar and his guests took the holy vessels of the temple to drink wine in honor of their gods the wrath of God fell upon him. God pronounced judgment against him and that very night Belshazzar lost the kingdom. Babylon was taken by Cyrus of Medo-Persia. So God takes sanctification very seriously. Belshazzar brought this upon himself for desecrating the holy vessels of God’s temple. On a more personal level, sanctification is the opposite of sinfulness. There are sins of commission (where we do something wrong) and sins of omission (where we fail to do the right thing). Sanctification includes not doing wrong and also doing that which is right. This is why it’s an active process, not a passive process. We’ll see in a moment that it’s God who sanctifies us. We can’t sanctify ourselves. But we have to be active co-laborers with God. It’s not something He does to us, rather it’s something He does with us, with our active participation and willing surrender. Holiness means being under the control of God’s Spirit. “For prophecy never came by the will of man, but holy men of God spoke as they were moved by the Holy Spirit” (2 Peter 1:21). Holy people purify their character to become like Christ’s. Let’s read from 1 Thessalonians 4: “For this is the will of God, your sanctification: that you should abstain from sexual immorality; that each of you should know how to possess his own vessel in sanctification and honor, not in passion of lust, like the Gentiles who do not know God; … For God did not call us to uncleanness, but in holiness” (1 Thessalonians 4:3-5, 7). Holy people live a simple, orderly lifestyle: “But we urge you, brethren … that you also aspire to lead a quiet life, to mind your own business, and to work with your own hands, as we commanded you, that you may walk properly toward those who are outside, and that you may lack nothing” (1 Thessalonians 4:10-12). Holy men and women are not busybodies in the church. Holy men and women earn their own living with the work of their hands, they don’t steal or beg or live off the work of others. So sanctification has a very practical aspect to it, also called “practical godliness”. Another end time aspect of sanctification is belief in the truth. Let’s look at two witnesses. John 17:17 says: “Sanctify them by Your truth. Your Word is truth”. Then we read in 2 Thessalonians 2: “But we are bound to give thanks to God always for you, brethren beloved by the Lord, because God from the beginning chose you for salvation through sanctification by the Spirit and belief in the truth, to which He called you by our gospel, for the obtaining of the glory of our Lord Jesus Christ” (2 Thessalonians 2:13-14). 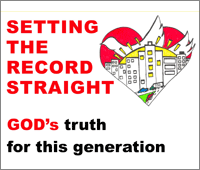 This is critical because those who end up taking the mark of the beast will not have the love of the truth. Therefore God will send them strong delusion that they should believe the lie, and they will end up offering false worship to a false Christ. Let’s read, this is also in 2 Thessalonians 2: “The coming of the lawless one is according to the working of Satan, with all power, signs, and lying wonders, and with all unrighteous deception among those who perish, because they did not receive the love of the truth, that they might be saved. And for this reason God will send them strong delusion, that they should believe the lie, that they all may be condemned who did not believe the truth but had pleasure in unrighteousness” (2 Thessalonians 2:9-12). 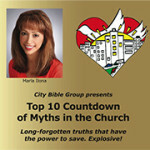 In the end time, speaking the truth and loving the truth are absolute requirements to make it into heaven. Finally, sanctification is the ultimate purpose of the Plan of Redemption. Jesus paid the price for us on the cross at Calvary. But He can’t take us back with Him to heaven unless we look like Him. His image and likeness must be restored in us. God created us in His image and likeness. “Therefore you shall be perfect, just as your Father in heaven is perfect” (Matthew 5:48). “Because it is written, Be ye holy; for I am holy” (1 Peter 1:16). “And you shall be holy to Me, for I the Lord am holy, and have separated you from the peoples, that you should be Mine” (Leviticus 20:26). 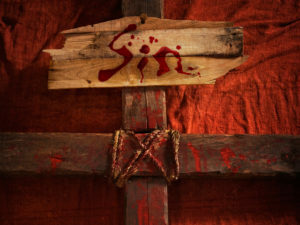 Sin – disobedience – separated us from Him and blotted out His perfect image in us. Sanctification and holiness are the spiritual condition of being restored to the perfection of character of Christ, His perfect obedience, that we may be glorified with Him. Ultimately, sanctification is perfect obedience to God’s law and all of His counsels. We read in 1 Peter 1 how Peter greeted the churches that he was writing to: “elect according to the foreknowledge of God the Father, in sanctification of the Spirit, for obedience and sprinkling of the blood of Jesus Christ”. In Revelation 14:12 we read about the end time saints of the Most High: “Here is the patience of the saints; here are those who keep the commandments of God and the faith of Jesus”. Keeping the commandments of God is not only an Old Testament requirement. It is one of the defining characteristics of God’s people in the end time. The first thing to understand is that sanctification is a process that takes time. It doesn’t happen overnight. That’s why it’s so important to start now! Now! Now is the day of salvation. Tomorrow is not guaranteed. You can’t sanctify yourself, no matter how hard you try. Only God can do that work in you. Your part is to yield to the Lord and let Him have His way in you. “Consecrate yourselves therefore, and be holy, for I am the Lord your God. And you shall keep My statutes, and perform them: I am the Lord who sanctifies you” (Leviticus 20:7-8). Let me give you a second witness, one of my favorite verses, Psalm 37:5-6: “Commit your way to the Lord, trust also in Him, and He shall bring it to pass. He shall bring forth your righteousness as the light, and your justice as the noonday”. We have to be prepared to suffer. That’s the bad news. The good news is that God promises that at the outcome we will be His holy saints. Let’s look at the example of our role model, the Lord Jesus, in Hebrews 5:8-9: “Though He was a Son, yet He learned obedience by the things which He suffered. And having been perfected, He became the author of eternal salvation to all who obey Him”. This is confirmation of what we said earlier, it’s all about offering perfect obedience. He learned obedience by the things that He suffered. He learned to have total dependence on His Father and do only His will. The Book of Daniel, that book which was written for us of the last generation, declares: “Many shall be purified, made white, and refined, but the wicked shall do wickedly; and none of the wicked shall understand, but the wise shall understand” (Daniel 12:10). We’ll be purified in the furnace of affliction. “Behold, I have refined you, but not as silver; I have tested you in the furnace of affliction” (Isaiah 48:10). That’s why it’s so dangerous to believe in the secret rapture. The church will be on earth for the tribulation, not whisked off to heaven through a secret visitation from Jesus. We’ll go through the fiery furnace and come through as gold. Let me give you one more scripture on the role that suffering plays. This is from Romans 8:16-17: “The Spirit Himself bears witness with our spirit that we are children of God, and if children, then heirs—heirs of God and joint heirs with Christ, if indeed we suffer with Him, that we may also be glorified together”. Our identity is in Christ, and we need to be willing to pick up that cross and carry it just like our Master did, so that we may be glorified with Him and sit on His throne. There are no shortcuts, no free tickets. But when we get to heaven and see the glory of the Father we’ll surely say: “No matter the cost, heaven was cheap enough”. What assistance is provided to those seeking holiness? “Husbands, love your wives, just as Christ also loved the church and gave Himself for her, that He might sanctify and cleanse her with the washing of water by the word, that He might present her to Himself a glorious church, not having spot or wrinkle or any such thing, but that she should be holy and without blemish (Ephesians 5: 25-27). The key agent working for our sanctification is the Holy Spirit: “But you were washed, but you were sanctified, but you were justified in the name of the Lord Jesus and by the Spirit of our God” (1 Corinthians 6:11). We get confirmation of this in Titus 3:5: “Not by works of righteousness which we have done, but according to His mercy He saved us, through the washing of regeneration and renewing of the Holy Spirit”. There’s a perfect connection here between the Word of God and the Spirit of God since it’s the Spirit of God that inspired the Word of God. What is our part in the process of sanctification? We’re not to be passive bystanders. We’re not to be casual observers. We have to be fully invested in the sanctification process. Proverbs 4:23 says: “Keep your heart with all diligence, for out of it spring the issues of life.” We need to guard the avenues of our soul – the five senses – and be very vigilant about what we watch, what we listen to, what we eat and drink, where we go and even what we allow our minds to dwell on. Our focus on Jesus to the exclusion of everything else is what will give us the victory. The vision of Jesus is what you need to become. “But we all, with open face beholding as in a glass the glory of the Lord, are changed into the same image from glory to glory, even as by the Spirit of the Lord” (2 Corinthians 3:18). The glory of the Lord is His character (Exodus 34). “As we behold we become changed” is a biblical principle. Keep your eyes on Jesus our High Priest and ask Him to impart to you His perfect character and His perfect obedience. “For by one offering He has perfected forever those who are being sanctified” (Hebrews 10:14). God does His part and we do our part in the sanctification process. Our part is to surrender to Him daily, to keep our eyes on our High Priest and to guard the avenues of our soul. God will do the rest. We said earlier that sanctification is the restoration of God’s image and likeness in us. For what purpose? One purpose is to perform good works: “For we are His workmanship, created in Christ Jesus for good works, which God prepared beforehand that we should walk in them” (Ephesians 2:10). “Now all things are of God, who has reconciled us to Himself through Jesus Christ, and has given us the ministry of reconciliation, that is, that God was in Christ reconciling the world to Himself, not imputing their trespasses to them, and has committed to us the word of reconciliation. Now then, we are ambassadors for Christ, as though God were pleading through us” (2 Corinthians 5:17-20). Reconciliation is Christ’s ministry that He’s performing right now in the Most Holy Place. He has committed this ministry to us. We are to co-labor with our High Priest to reconcile many to the Father. This is the “Go ye therefore” of Matthew 28:19. Jesus wants us to bear much fruit and be His disciples: “By this My Father is glorified, that you bear much fruit; so you will be My disciples” (John 15:8). This is the end time message, the last message from God to the world. We are sanctified to take this message to the world. The Great Controversy that has raged since Lucifer rebelled in heaven will soon come to its resolution with the triumph of Christ as Lord of Lords and King of Kings. In this conflict of cosmic proportions God is on trial. This is clearly seen in the Book of Job and in this verse in Romans: “Indeed, let God be true but every man a liar. As it is written: That You may be justified in Your words, and may overcome when You are judged” (Romans 3:4). Why is God on trial? Satan accused God, before all the host of heaven, of imposing an unjust government with an arbitrary law that is not only impossible to keep, he claims it’s also unnecessary to keep. God did not immediately destroy Satan as He could have. Instead He allowed Satan’s mode of government to play itself out here on earth, on a limited scale contained to this planet. In this way the citizens of heaven and of the unfallen worlds could see for themselves what would happen if Satan were in control of the entire universe. God’s faithful people, His elect, are the closing evidence in God’s trial. We are to be holy and obedient to demonstrate to the watching universe that God’s law can be kept in the power of His Spirit, and that we obey God because we love Him. We are witnesses to God’s perfect character and justice. One thousand years after the end of the world as we know it, at the end of the millennium, God will resurrect the wicked for their hour of judgment. This is called the second resurrection. The wicked will see their lives and all of the opportunities for mercy that they rejected. Every knee shall bow, and every tongue shall confess that Jesus Christ is Lord, to the glory of God the Father (Philippians 2:10-11). The entire universe will see that God is just and righteous, and that His mode of government is perfect and fair. “And I heard another (angel) from the altar saying, Even so, Lord God Almighty, true and righteous are Your judgments” (Revelation 16:7). We are God’s witnesses and we need to be prepared to do whatever it takes to vindicate His character before the universe. “But you are a chosen generation, a royal priesthood, a holy nation, His own special people, that you may proclaim the praises of Him who called you out of darkness into His marvelous light” (1 Peter 2:9). We will bear witness that the mercy of God and the justice of God work together to save all those who are willing to be saved. Let’s close with this beautiful promise in the Book of Daniel: “Those who are wise shall shine like the brightness of the firmament, and those who turn many to righteousness like the stars forever and ever” (Daniel 12:3). For more information on how God is “on trial” before the watching universe, listen to our podcast “The Battle Is Real”. Tagged Bible, character, Daniel, God, high priest, holiness, holy, Holy Spirit, image, Jesus, justice, likeness, mercy, Most Holy Place, perfect, plan of redemption, plan of salvation, righteousness, sanctification, sanctified, truth.